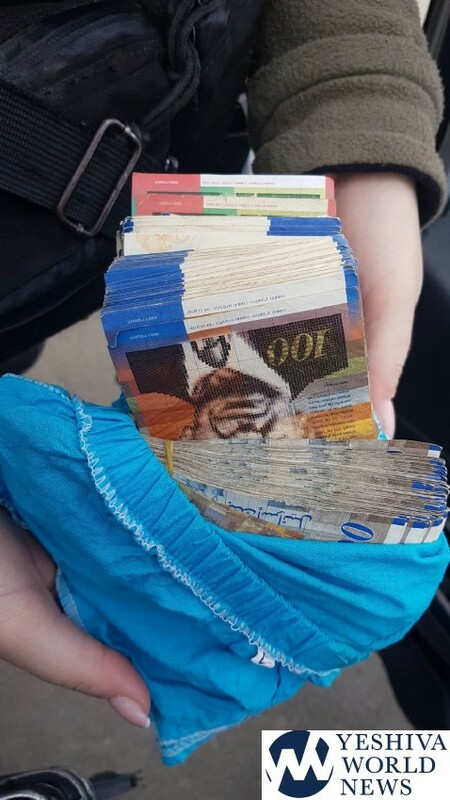 Israel Police personnel working with border police on Sunday, stopped a Palestinian at the Kiosk Checkpoint in Abu Did who was found to be carrying a sum of money said to be cash to finance terrorism. 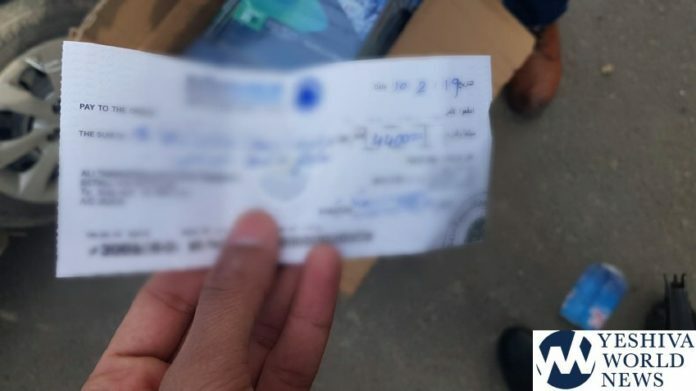 A search of the suspect revealed he was carrying NIS 4,757 and checks in the amount of NIS 17,025. In addition, a female accompanying him in the vehicle was carrying NIS 44,140 in cash. The 30-year-old resident of the PA (Palestinian Authority) area of Hebron was taken for question. The female was released after she was questioned by authorities at the scene.